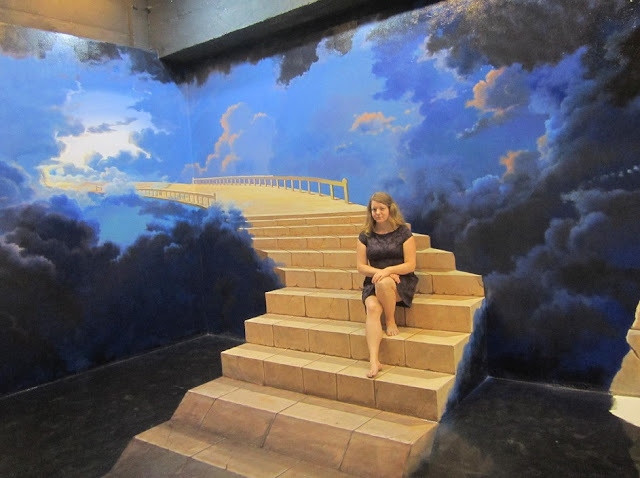 Art in Paradise is the world's largest 3D art museum, right here in Chiang Mai, and makes for a super-fun afternoon out in town. This art museum / gallery of 3D fun was once a big old department store. It's way better than a department store now! South Korean artisit Jang Kyu SukIt into an arty playground filled with creative, colourful 3D art by 12 South Korean artists. The 3D comes alive when viewed through a camera lens and there are stickers on the floor showing where to stand to get the best photograph, but have fun experimenting. Go with at least one friend to ensure the most laughs - almost all of the art requires one person to interact and pose while the other person photographs. Did you ever use to play that game where the floor was lava? 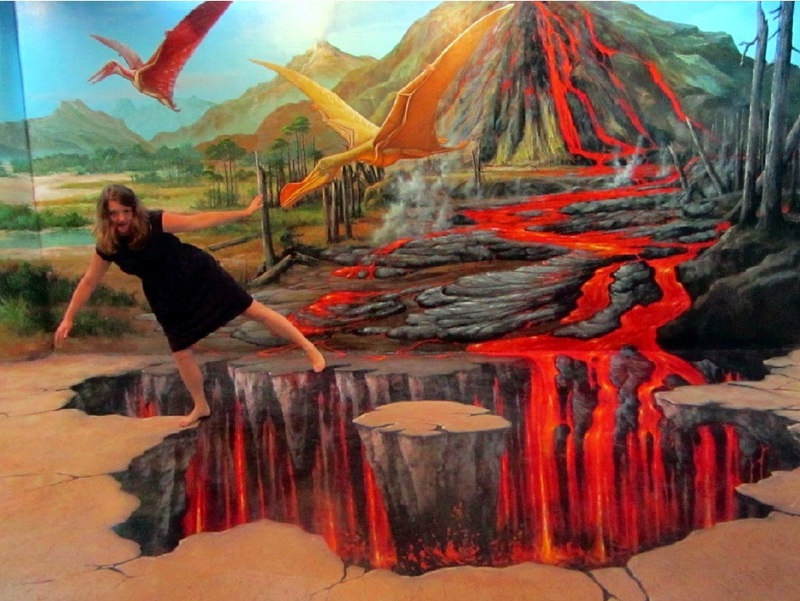 And you had to step across the room using cushions, chairs, sofas, the cat - anything but the bubbling lava-floor? The dinosaur and Egyptian zones were my favourite, because I have an unshakable adoration of both Jurassic Park (don't go into the long grass!) and Egyptology. I really enjoyed our afternoon at Art in Paradise and would recommend going to anyone looking to enjoy some silliness and play. It's near the Shangrila Hotel. 9am - 9pm. I would leave at least two hours to look around, but we were there for about 3 or 4 hours. The ticket office closes at 8pm. 180 baht for Thais or foreigner adults with a Thai driving licence or work permit, 100-120 baht for Thai children. We just showed our work permits and got the cheap price with no problems - WIN. 300 baht for foreign adults, 200 baht for foreign children. Tip: Ensure that your camera is fully charged, or take a spare battery. Don't let the rain dampen (!) your fun - check out what you can get up to when it's pouring down.